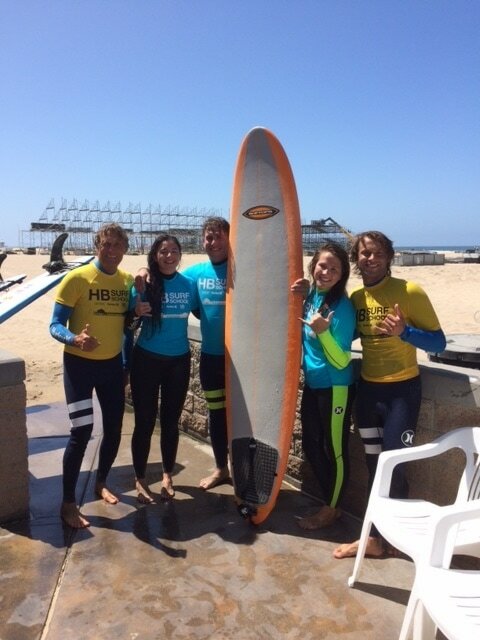 HB Surf School offers a series of four 90-minute surf lessons for persons over 18 years who want to learn the basics of surfing and continue on. We focus on beach safety and fun while you learn the basics of catching and riding waves. Lessons are run by former pro surfer and coach with 30 years experience. After the four lessons we can recommend the correct equipment for you to continue surfing. Can't make it on Saturday? Ask about Private Lessons at a time that works for you.